Galleria Anna Maria Consadori ‘s opening a sculpture exhibition on march 5th, 2019 with most italian artworks from ’50s to present days. 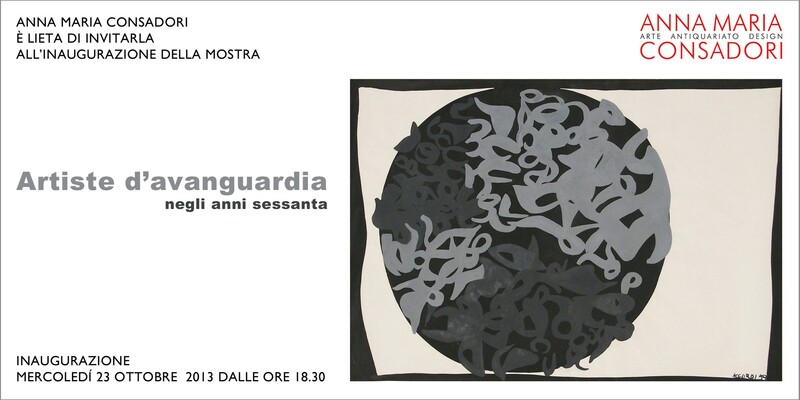 Galleria Anna Maria Consadori presents the exhibition “Cartolaria” on Thursday, November 15th 2018, h.18.30 in Via Brera, 2 Milan. 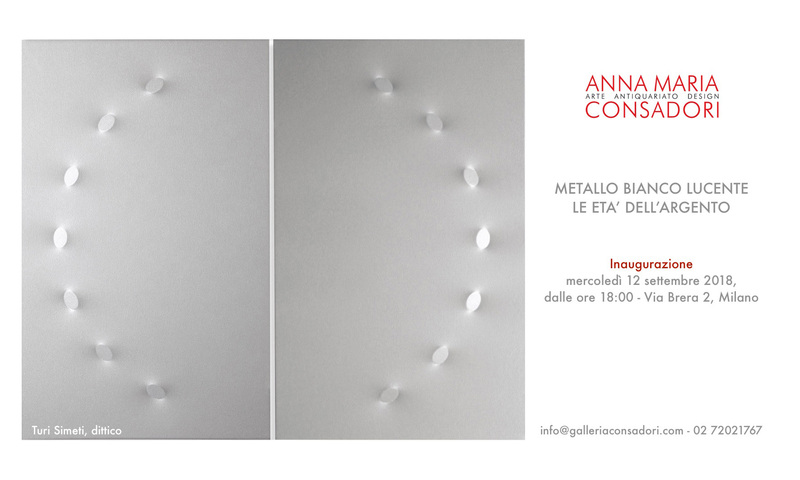 Galleria Anna Maria Consadori presents the exhibition “Sparkling white metal – the silver ages” on Wednesday, September 12 2018 in Via Brera, 2 Milan. The show will be on view from September 13 through October 20, 2018. 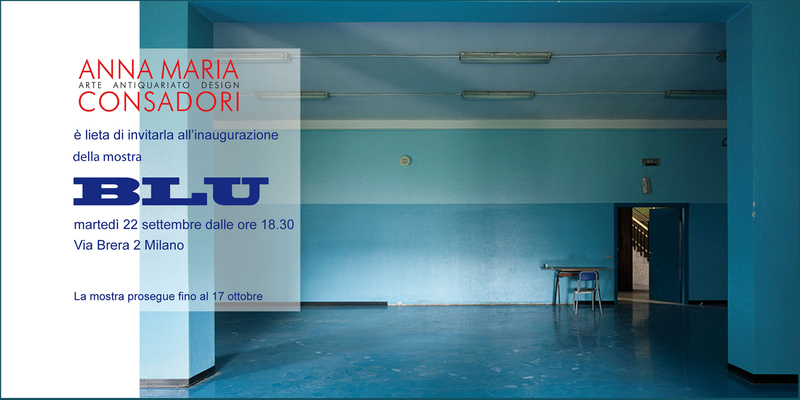 As per tradition, the Consadori Gallery opens the season 2015 with an exhibition, in which art and design coexist. “Artiste d’avanguardia” (“Avant-guard artists”) is the title of the new exhibition at Galleria Consadori that will open the 23rd October 2013. Dadamaino, Carla Accardi, Nanda Vigo, Grazia Varisco are some of the women artists displayed in the show. 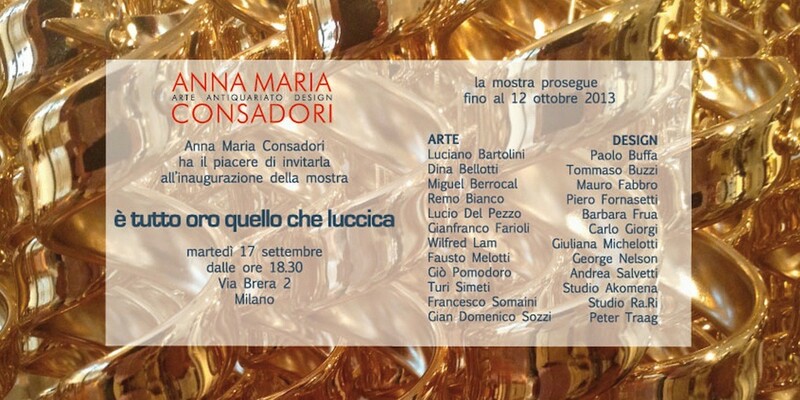 The 17th September 2013 Galleria Consadori opens the exhibition entitled “E’ tutto oro quello che luccica” (“All that glitters is gold”). As usual the gallery situated in via Brera 2 begins the season with a show dedicated to one color: this year the color chosen is gold.